Conor McGregor’s punishment from the Nevada State Athletic Commission (NSAC) will not be handed down on Monday as expected. 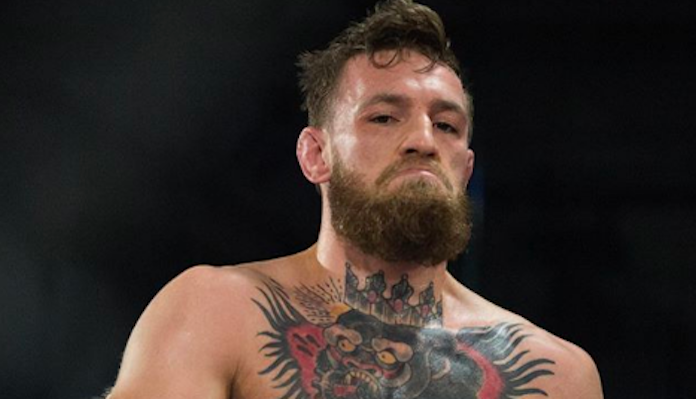 McGregor was granted a continuance in his case for the UFC 229 melee, according to MMAFighting. Meaning, McGregor’s hearing that was expected to take place on Monday has been postponed. As well, there is no timeframe for when the hearing will be reorganized. Meanwhile, Khabib Nurmagomedov’s hearing is expected to take place on Monday, but the lightweight champion is not expected to be in Las Vegas. According to MMAFighting, a settlement in his case may happen, or his team could possibly file for a continuance. Both McGregor and Nurmagomedov are currently suspended indefinitely for their actions at UFC 229. Following Nurmagomedov’s submission win over McGregor, he jumped out of the Octagon and attacked Dillon Danis and McGregor’s corner. Along with being suspended, the NSAC is currently withholding half of his $2 million fight purse. While that was all happening, McGregor was seen climbing to the top of the Octagon. There, he threw a punch at someone on Nurmagomedov’s team and was then brought back into the Octagon. However, the NSAC never held any of McGregor’s purse, as they originally believed he didn’t do anything. It wasn’t until later when they were watching the tapes that the NSAC deemed Conor McGregor’s actions unacceptable. The bad news for McGregor’s hearing being postponed is the fact his punishment will also be postponed. Meaning, the Irishman can’t fight again until his punishment is handed down and if he gets suspended he can’t return until the suspension is served. That would be a big blow to the UFC who are reportedly targeting a mini-lightweight tournament in which Nurmagomedov would take on Tony Ferguson, while McGregor would take on Dustin Poirier. Then the winners would then face off. If McGregor and Nurmagomedov are suspended for a long time, Dana White knows the focus is on making fights, with or without McGregor and Nurmagomedov available. What do you think the suspension should be for Conor McGregor?